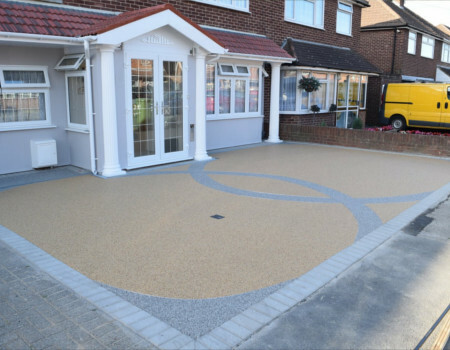 Proving to be very popular over the last few years - Resin bound driveways in Orpington are fastly becoming one of the most affordable and easily maintainable driveway solutions. It is a mixture of naturally sourced stones and a strong durable UV stable resin. Once the stones and resin are mixed, it is then poured and hand trowelled onto the driveway, paths, patios, forecourts, car parks to create an attractive, seamless, strong and smooth finish. 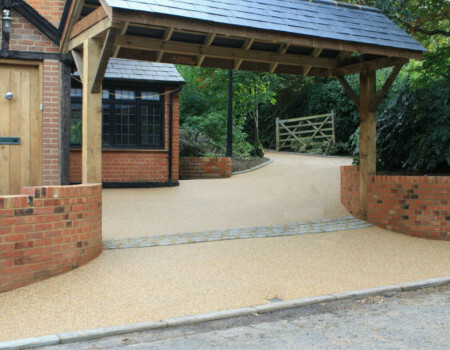 Our experienced team at Advanced Property Solutions can design, manufacture and install a Resin bound driveway using high quality UV-stable resins and a special blend of aggregates. This is mainly due to our high level of experience and one of the leading driveway companies in Orpington. Our naturally sourced stones are a mixture of aggregates including gravel, shingle, quartz and crushed granite. The stones can be angular or smooth and come in a variety of sizes, from 1mm to 5mm pieces. Just like our gravel driveways in Orpington, they also available in an array of colours, either a single colour or a blend of a few colours. Stunning effects can be achieved because of the flexibility of this product and the endless possibilities because of the colour combinations. 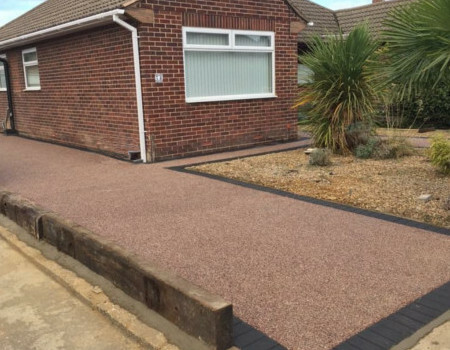 Our resin bound driveways are expertly designed, installed and hand finished by our team and unlike our tarmac driveways in Orpington, are completely permeable and require no drainage. Resin Bound Surfacing looks fantastic next to another solid surface such as patios in Orpington! Ask our experts for more information by calling Orpington 01883 759036 for a free no obligation Resin Bound Driveway Quote.